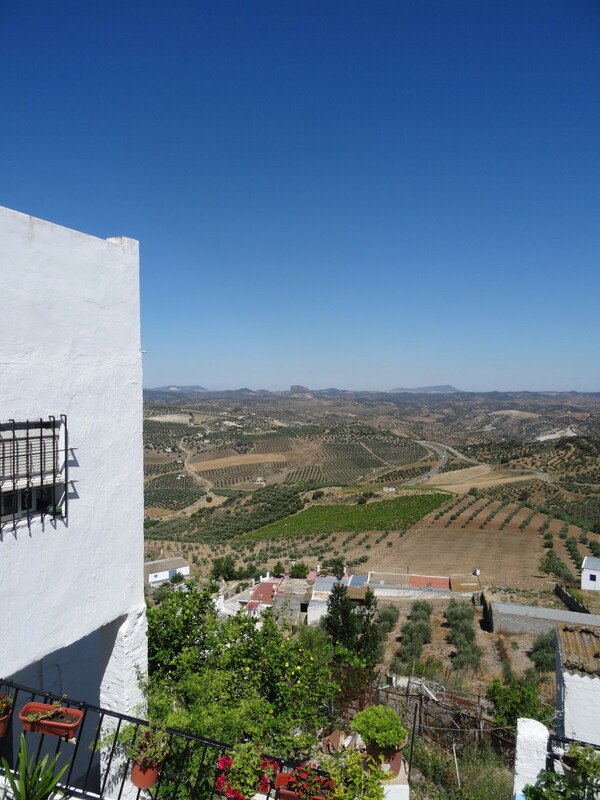 Andalucia in spring is an ensemble of clear blue skies, wonderful rustic countryside, and richly coloured flowers as vibrant as the people themselves. 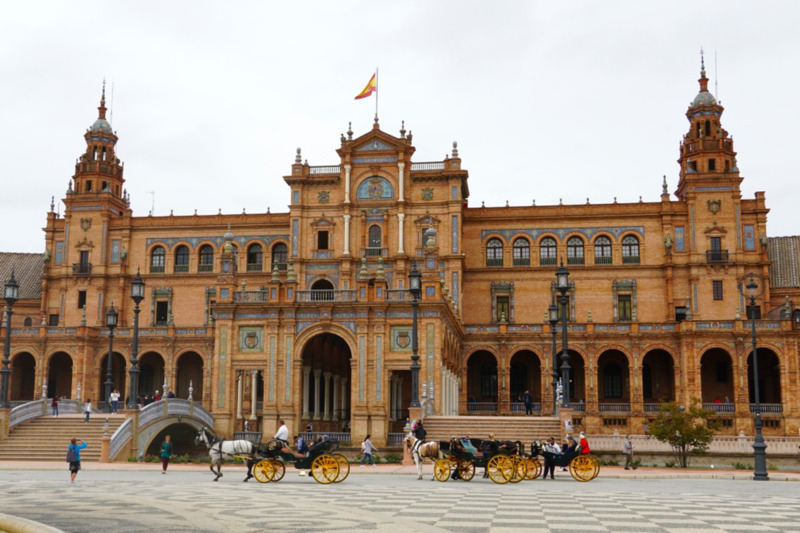 A frequent visitor at this time of year, I decided to join one of my oldest friends and explore Andalucia, where the incredible palaces of wealthy Moorish kings play host to the passion of the flamenco—the true essence of Spain. Once known as Spain’s poorest region, Andalucia has now come into its own as a favourite European destination to visit. This southernmost region of Spain is composed of eight provinces, interestingly named for their capital cities, and is a wonderful combination of history, tradition, incredible scenery, and high-spirited people whose warmth and hospitality you will never forget. In this article, I will share Andalucia’s must-see attractions, along with its exciting spring festivals. The last stronghold of the Spanish Moors, this wonderful city is a heady mixture of architecture, street stalls and traditional tapas bars. There is a real buzz to this compelling city where bars, cafes and flamenco clubs vie for your attention. 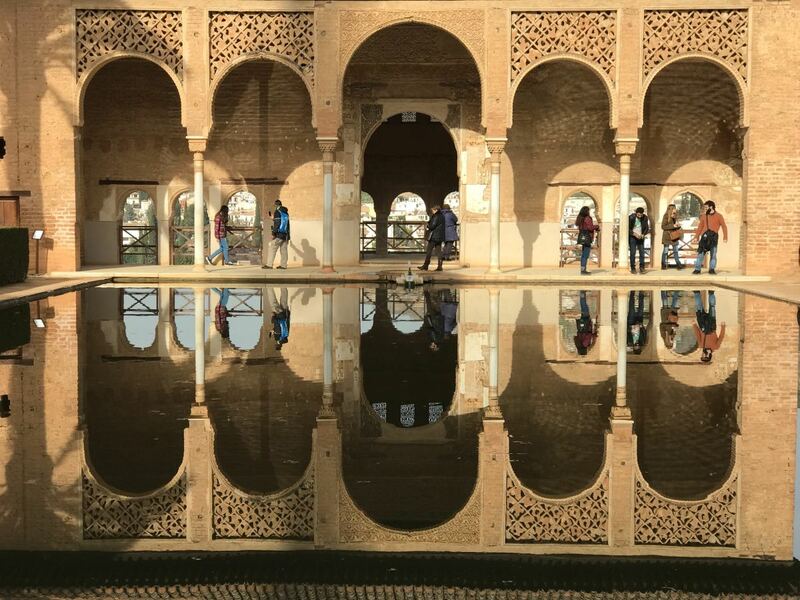 One of Spain’s most famous attractions, this palace complex showcases some of the finest Islamic buildings in Europe and dates back to the 13th and 14th centuries. As one of the best preserved medieval structures in Spain, it highlights the exquisite beauty of the Nasrid Palaces whose intricate interiors always amaze me. 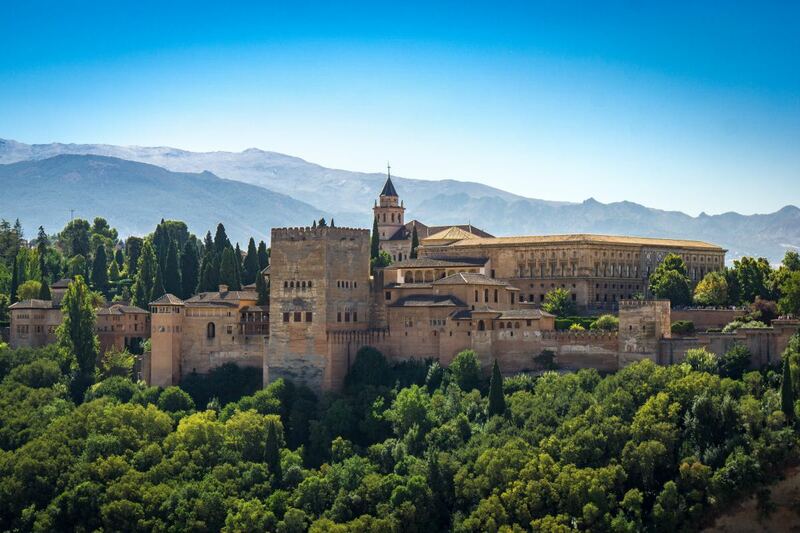 The three complex palaces were once the residence of the kings of Granada and date from the 13th century. Stretches of walls outside showcase their strength and pay homage to the fragility of the ornamental architecture inside. With elements of Persian and Muslim inspiration, the patios, with their beautiful marble fountains, give a lush feel to the gardens where the flow of crystalline water combines architecture with nature, awakening the senses. 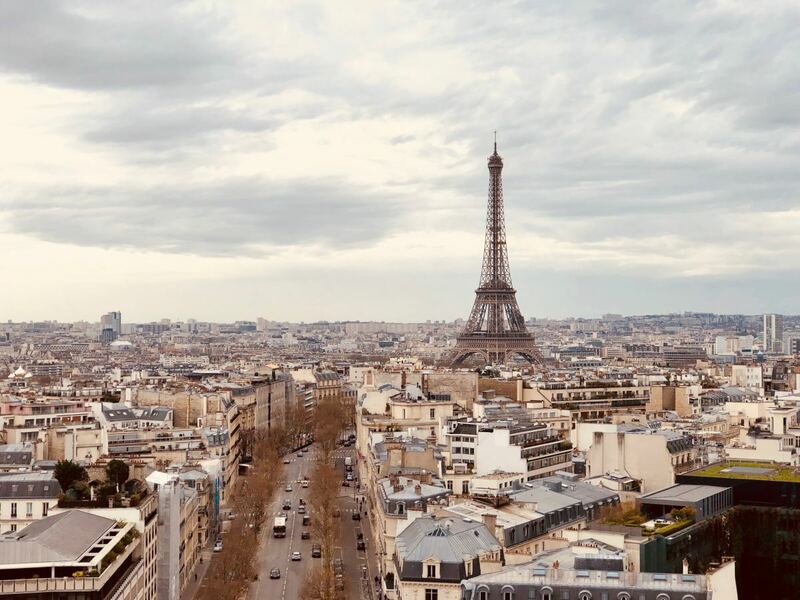 Attracting thousands of daily visitors, it is always a good idea to book ahead to avoid disappointment, and I would advise a three-day trip to fully appreciate the splendour of this amazing place. We booked our tickets online in advance at their website as there are several types of visits and we wanted one which suited our timeframe. Definitely worth a visit is the authentic gypsy neighbourhood of Sacromonte with its wonderful mountain views, meadows of wildflowers and famous caves. Traditionally Granada’s Gitano quarter, the district is named after the Sacromonte Abbey. Settling in Granada in the 18th century, the Gypsies made their homes in the caves which are grouped around ravines. The various caves make up several categories, with the most spacious painted white with an array of copper pots. These particular caves, due to their location near the roadside, are easily accessible; as you step inside, the coolness is both refreshing and calming. This wonderful place is also known as the home of flamenco, which is a Spanish art form made up of three parts: guitar, song and dance. This form of dancing can have different purposes such as entertaining, romantic or to console. An extremely emotional dance, the traditional flamenco dancers were not formally trained; instead, the style was passed down from one generation to the next. Today, due to tourism, many of the caves are used as theatres to showcase flamenco, and some are even used as hotels. In order to really experience the magic of this raw and sensuous dance in all its originality, I would recommend spending at least one night in a cave of the Sacromonte, where the electric atmosphere of this ancient dance remains lingering in the night air long after the dance is over. A visit to Alemeria’s famous fortress is not to be missed and will leave you spellbound. Its name comes from the Arabic word alqasbah, meaning fortified city. The fortress was constructed in 955 as the seat of local government by Caliph Abd al-Rahman lll of Cordoba. Subsequently, it became a very important trading port with the Mediterranean and North Africa, trading in goods such as silk, olive oil and gold coins. First Compound: As you climb the steps from Plaza Almanzor and enter through the Puerta de la Justicia (or Justice Gate), it will feel as if you have taken a step into the pages of history. Divided into three walled compounds – the first two are Islamic and the third Christian – you will arrive at the lowest of the three sections. Formerly the barracks, it used to consist of houses and streets, however, in the late 20th century, this part of the fortress was renovated and various gardens and pathways now cover the archaeological remains. Second Compound: This opulent compound is where the Caliph and his family resided, and was known as the heart of the Alcazaba. I was particularly impressed by the reconstruction of a Moorish house from this era, complete with decor and furniture of the time, giving you a glimpse into how the inhabitants would have lived. Visiting the upper part of the enclosure, you will find the remains of the original Arab baths, a testament to sanitation and cleanliness. Third Compound: Added by the Catholic Monarchs, this fortress – known as the Tercer Recinto – is in excellent condition. With its wonderful round towers and thick stone walls, its strength is as visible today as it would have been centuries ago when it protected all inside from various bands of marauding pirates. The largest protected nature reserve on the Mediterranean coast, a visit to the Cabo de Gata will be unforgettable. Known as Europe’s one true desert, it is stunningly beautiful and is easily accessible from Almeria. With the most incredible mountains, beaches, and boasting over a thousand species of flora, I am not surprised it was the inspiration for many of Lorca’s works. Exploring by foot, bike or on horseback, you will be enthralled at the many exciting and beautiful discoveries such as the ancient forts, ruins and picturesque villages. However, with one of Spain’s least-developed coasts and offering visitors more than 100km of pristine beaches, a trip to the beach is a must. A particular favourite of mine is Monsul beach which lies within the Natural Park of Cabo de Gata and is popular with visitors—families, in particular. There is public parking 200m from the beach, however, it is limited, so I would advise taking the shuttle bus which leaves San Jose and also makes stops at other beaches. Spring in Seville is the perfect time to visit and explore its wonderful parks, attractions and stunning architecture. With the scent of orange blossoms permeating the air, the season brings with it endless blue skies and vivid colours which brighten up the ancient facade of this charming city. With its narrow streets and enticing boulevards, the Santa Cruz quarter of Seville is a wonderful neighbourhood to meander through, and if you happen to get lost due to its labyrinth of houses, don’t worry, it’s an expected rite of passage for first-time visitors. Once Seville’s old Jewish quarter, it is an interesting network of beautiful squares overlooked by whitewashed houses and is home to a very colourful cathedral and the famous Moorish Alcazar. Not to be missed and sitting at the heart of Santa Cruz is the Cathedral of Saint Mary of the See, whose Gothic complex was constructed in 1401 and continued for a century. 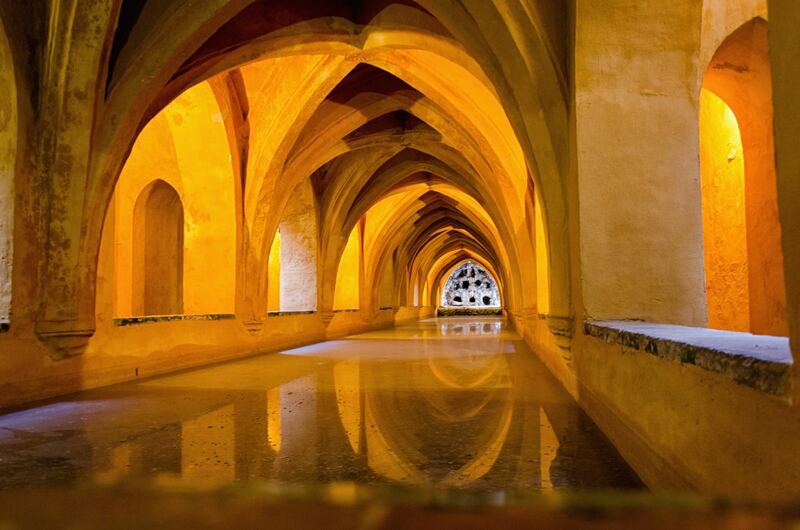 Many believe that its splendour was to show the world and the rest of Europe the power and wealth of Seville. 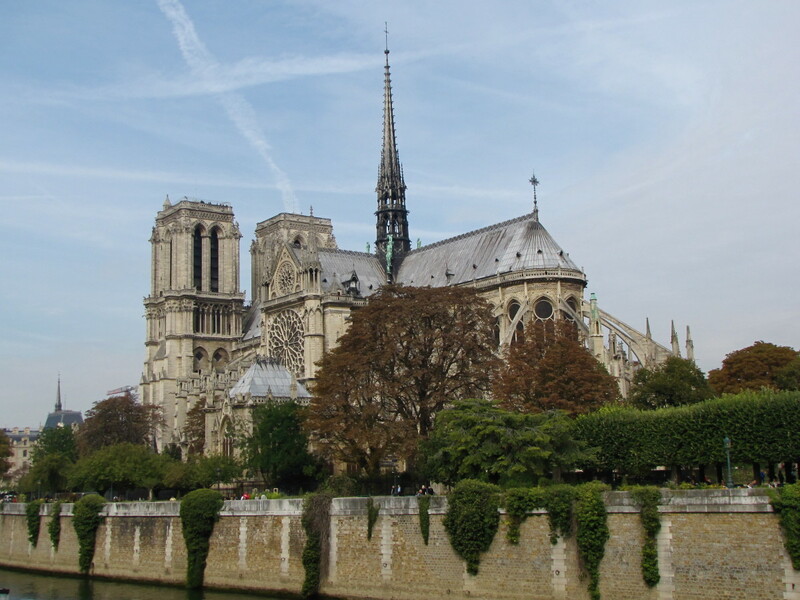 The third largest cathedral in the world, it is certainly impressive. 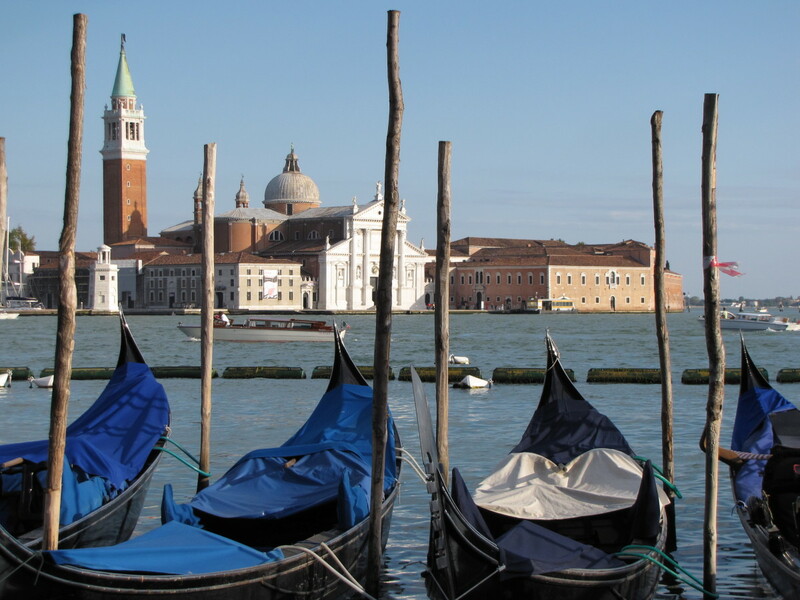 It is also the resting place of Christopher Columbus, whose tomb attracts many tourists each year. 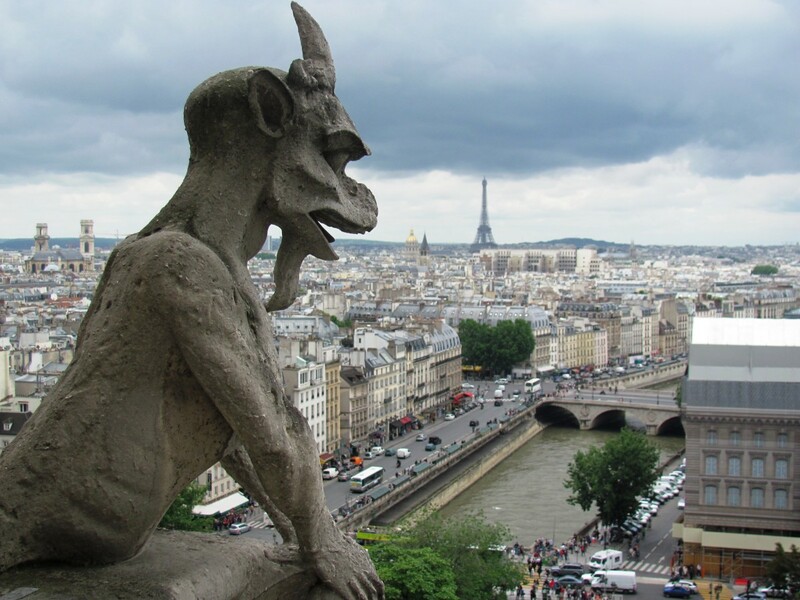 I also think it’s worth visiting this part of town in the evening as the cathedral is lit up in all its splendour, making it the perfect backdrop for an area rich in restaurants where you can sample the local food and take in the delights of flamenco dancers performing in the plaza. Built for the Christian king, Pedro the Cruel of Castille, in the 1360s, where he lived and ruled with his mistress, Maria de Padilla, the Alcazar resembles a Moorish palace, perhaps due to the fact that many of its beautiful rooms were built by Moorish workmen. Divided into sections representing a succession of eras, it is as fascinating as it is beautiful. Section One: Enter the palace complex and on your left is the Patio del Yeso, which is the oldest part of the palace and dates from Moorish times (11th-12th century). Section Two: The Renaissance palace is situated on the right, along with the House of Trade, where the famous signing of the trading contract between Columbus and Queen Isabella was made. Section Three: The Palace of King Don Pedro is straight ahead and is home to the incredible Patio de las Doncellas, complete with sunken gardens. Surrounding the patio are a variety of reception salons, however, the Ambassadors’ Hall, which is situated at the opposite end, is simply spectacular. 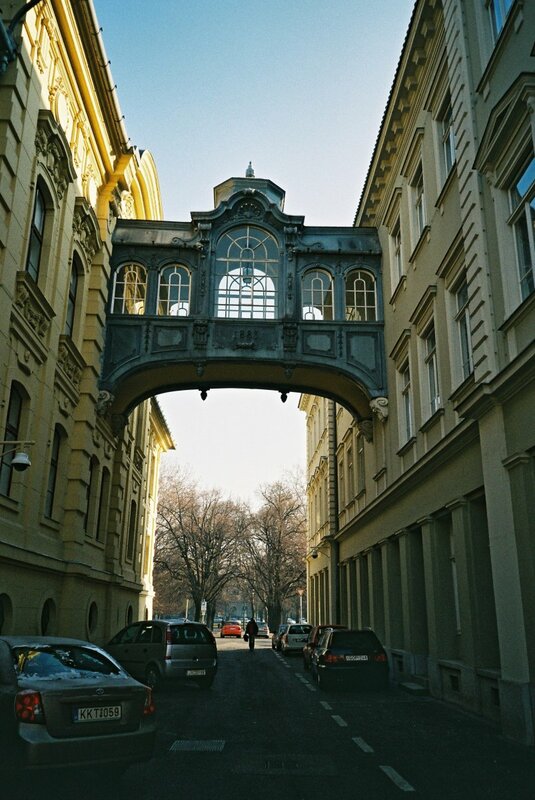 Like stepping into a fairytale, the wonderful Peacock Arch leading to his salon has a definite regal feel to it, as portraits of the Castillian kings look down from the gallery. Visiting the Alcazar, including the extensive grounds, will take between two-three hours. I definitely recommend a morning visit with fewer people. With the sun glinting off its walls giving it a surreal feel, I am not surprised that this wonderful palace has become the favourite shoot location for the popular TV series Game of Thrones. This incredible fine arts museum is one of the most important in Spain and well worth a visit. Housed in a former convent, its twenty rooms play host to classic Sevillian painters and other 17th century artists from the medieval period, up to the 20th century. There is a good variety of paintings and sculptures whose history are featured in the art booklet available to purchase. Starting your visit on the ground floor, you will not be disappointed as you marvel at the exquisite masterpieces of Murillo and Francisco de Herrera, just to name a few. The museum also boasts a terraced restaurant where you can relax and reflect with that much-needed cup of coffee. Check out their website, Museo de Bellas Artes, for more details. Festivals in Andalucia, particularly in spring, are a renewal of life, hope and tradition, combined with wonderful costumes, music and enjoyment. With so many to choose from, I have listed two of my favourites which are definitely worth a visit. Spring is a time of celebration in Granada, breathing new life into the year by keeping alive the old traditions of family, dancing and enjoyment, where the beauty of the moment is echoed in an atmosphere of joy. The festival of the May crosses is one of the most popular festivals in Andalusia, held on May 3rd. First celebrated in Granada in the 17th century, this tradition of placing crosses in small altars and decorating them with copper and pottery objects is still very much alive today. Each year there is a competition to promote this tradition, which is run by the City Council. The crosses that compete are decorated with thousands of perfumed carnations, filling the city with the most wonderful aroma. 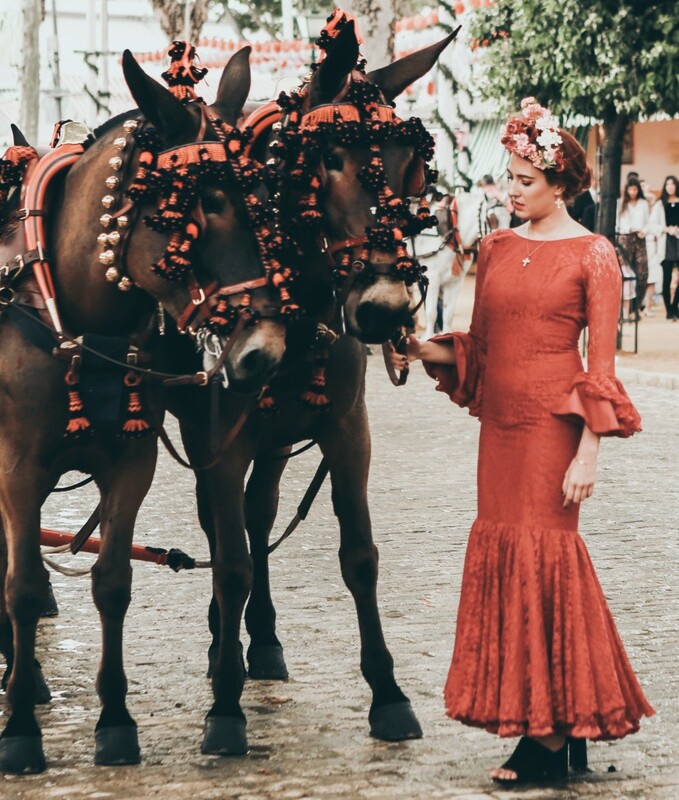 Adding to the wonderful festive feel, the women and children wear traditional Andalusian dress as they walk around the city, accompanied by the most stunning Andalusian horses all decked out for the special day. How easy it is to make friends in Spain. This week-long festival takes place two weeks after Holy week and is held in the city’s fairground, which is set up with attractions, rides and a circus show. Celebrations begin on Monday when the lights are switched on at midnight by the Mayor of Seville. Traditionally a cattle fair which took place in 1847, where three marquees were erected enabling the local dignitaries to socialise, the marquees or ‘casetas’ simply grew in number each year, and now it is the city’s largest fiesta. Interestingly, the Monday night is known as ‘Fish Night’, and refers to fish being eaten for dinner on this night. Making your way to the fairground after dinner, you will enjoy a night of fun and partying. The rest of the week is a wonderful heady mixture of horseback parades through the fairground, where beautiful horses carry people in wonderful traditional attire, impromptu flamenco dancing, and excellent tapas. Ending the week is an amazing firework display, a fitting tribute to an amazing festival. Andalucia, with its rich diverse history and vibrant culture, is a sun-kissed Spanish region you will return to time and again. 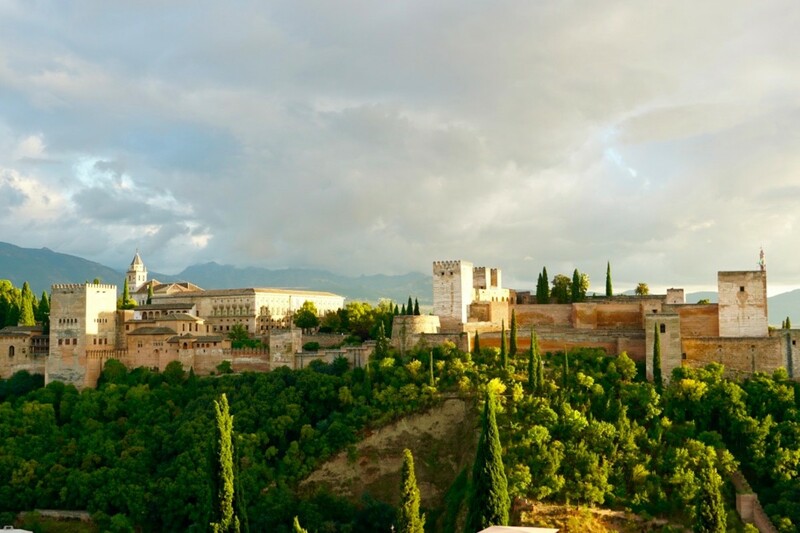 Whether marvelling at the masterpiece that is Alhambra, relaxing as you discover the seaside desert of Cabo de Gata, or enjoying the excitement of its many festivals and passionate flamenco, you will not be disappointed. There is no better way to capture the true essence of Spain than a visit to this wonderful place, where the historic and the modern is woven into the fabric of everyday life. Glad you enjoyed the article Liz. I love this part of the world especially Granada. 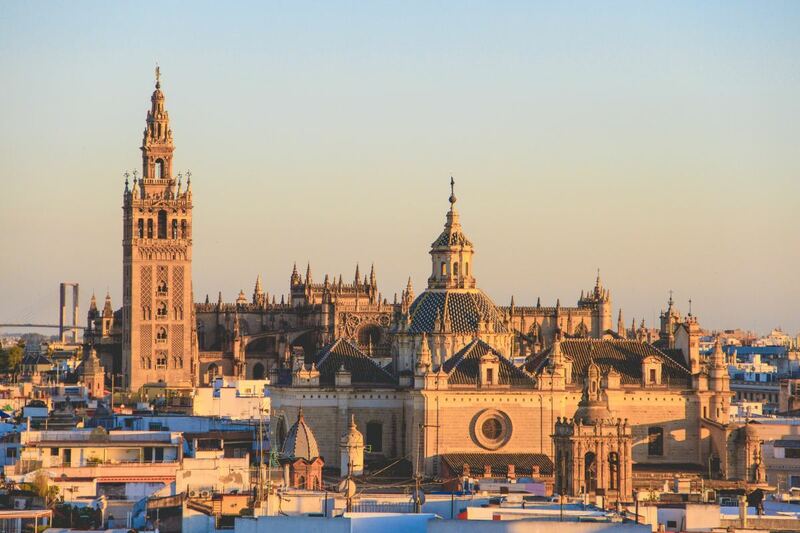 Even though Holy week in Seville is expensive, the experience is incredible - worth saving up for..
Seville is one of our favourite destinations. I would also like to visit Almeria and Granada one day. This is a well structured and well-illustrated article. I had heard that Semana Santa (Holy week) in the run up to Easter was a good, but expensive time to be in Seville.